Computerized axial tomography image of the brain of a patient with both an inability to speak and right-side weakness. 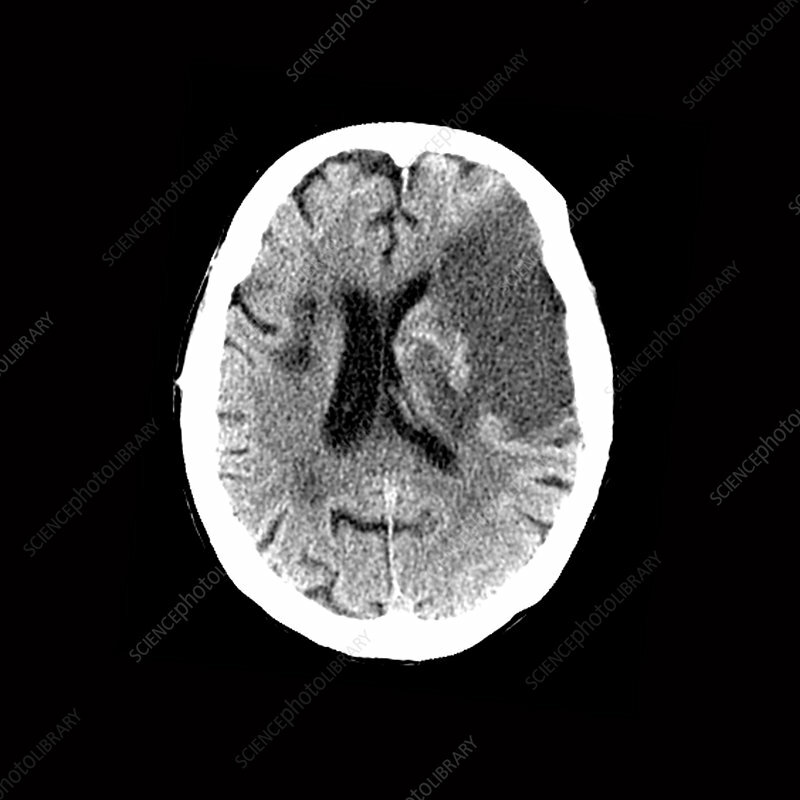 The large wedge-shaped area of lower density on the right is a large acute stroke. The smaller area of low density on the left is an old stroke. The central black cavities to surrounding the midline are the lateral ventricles filled with cerebral spinal fluid (CSF).